Granny flats are no longer just for granny, so who else are we building them for? With the cost of rent and everyday living expenses rising, saving a deposit for a house is becoming increasingly difficult for our young adults. Building a granny flat for your adult children allows them to save funds for a deposit on their own home, whilst still providing some modicum of independence and personal space. The added bonus is that you get to spend more time as a family without stepping on each other’s toes. Adding ancillary accommodation for the purposes of short-term leasing, via platforms such as AirBNB, is an emerging and fast growing trend. Not only can this provide a viable and convenient home business, in most the income generated easily covers the cost of the addition, then some. 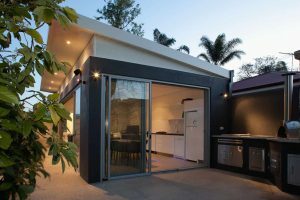 We are finding a lot of independent Perth business owners are choosing to build granny flats on their property to facilitate the ‘work from home’ lifestyle while retaining the separation of their personal, family space. Not only does this enable them to have a dedicated professional work environment, but it also saves on rental costs for a commercial premises whilst adding value to the family property. The lifestyle of a fly-in fly-out worker typically means the home is left unoccupied for a good portion of the year. A brilliant new concept we have seen emerging is the addition of a granny flat to the property, which allows the owner to live in on their R&R days back in Perth and rent out the main house. You not only benefit financially from the rental income but as a positive side effect the home will remain secure and maintained whilst they’re away at work. Student housing can be difficult to find in Perth, somewhere close to public transport or the university itself is ideal but without the hefty price tag of a 3×2 rental. 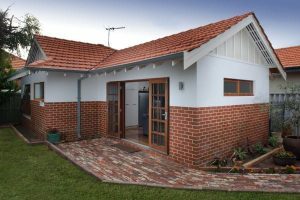 Perth property owners can benefit from building a custom granny flat with separate access to the main home, which allows for the ancillary space to be rented. Not only will you be earning an income from a space that would have remained otherwise unused, but again you are adding value to the property itself. Bear in mind, to focus on the student rental market the living space will more than likely need to be fully furnished and include access to Wi-Fi. As with any decision to undertake renovations or an extension to your property, you will need to ensure you that it is designed and built by an established, reputable builder who can manage the process from start to end. 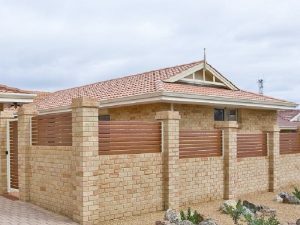 The dedicated team at Addstyle has worked in the Perth and surrounding area for three decades now and has acquired the enviable title of Western Australia’s most awarded home improvement team. Every project we undertake is unique and you can entrust our team of professionals to make your improvement dreams a reality.